Flavius Claudius Julianus was born in Constantinople around 332 AD the son of Julius Constantius who was the half-brother of Constantine the Great. His father was born by the second wife of Constantius I Chlorus, Theodora. Julian’s mother was Basilina, the daughter of the Governor of Egypt who died as a result of giving birth. Fortunately for Julian, he managed to escape the Palace Massacre of Constantine II in 337 AD only due to his extreme young age. 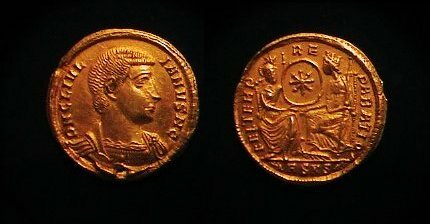 Julian was also the half-brother of Constantius Gallus who was imprisoned by Constantius II at the time of Gallus’ execution, but his life was spared, and later he was restored to the imperial favor and given the rank of Caesar on November 6th, 355 AD about the same time he married Constantius’ youngest sister, Helena. Having been given the governorship of Gaul, Julian proved himself a very able commander and campaigned with much success against the barbarian invaders of his province. His success was so great that Constantius began to fear Julian and in the spring of 360 AD ordered Julian to furnish his best contingents for employment against the Persians in the East. Julian’s troops rose in revolt against Constantius II and proclaimed Julian Augustus. The new ruler then set out to meet Constantius in battle, but the latter died in Cilicia while on his way to confront Julian. Thus Julian continued and entered Constantinople in December 361 AD as the undisputed ruler of the Roman Empire. Justice Douglas said in a dissenting opinion to Public Utilities Comm’n of DC v Pollack, 343 US 451, 467 (1952), that “the right to be let alone is indeed the beginning of all freedom.” The Roman Emperor Julian (361-363AD) who was known as the Apostate because of his anti-Christian position after the massacre of his family by Christians, made it very clear that not even the Emperor was above the law. He purged the top-heavy state bureaucracy and was a man of incredible complexity with a character that was amazingly just and fair. In 357 Julian, had defeated the barbarians known as the Alamanni giving him the prestige and political power to be respected. 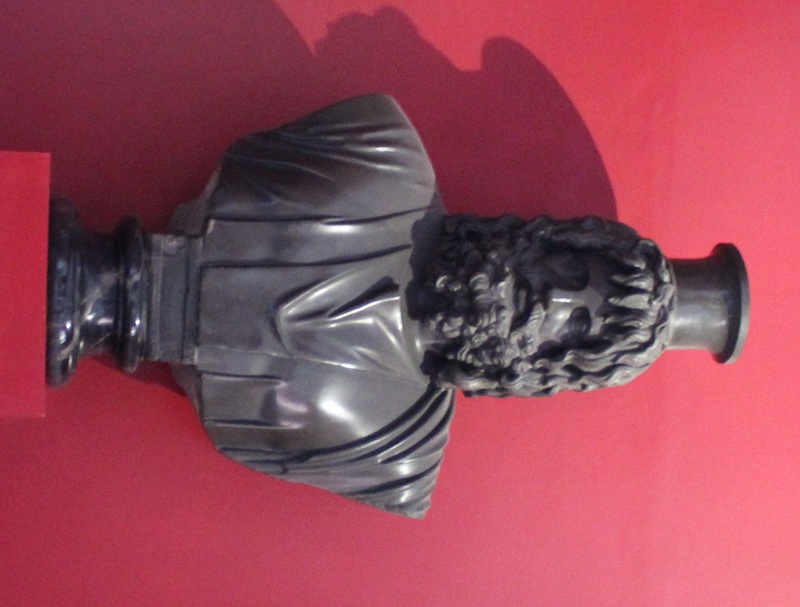 He stepped in and prevented a tax increase by the Gallic (France) praetorian prefect Florentius and personally took charge of the province of Belgica Secunda. Julian now cross the street from military to civil administration, where he demonstrated his philosopher training being influenced by his liberal education in Greece. Julian’s first priority, still as Caesar and not Augustus (Emperor), was to drive out the barbarians who had breached the Rhine frontier. Thereafter, he won the support of the civil population by his fairness. He set out to rebuild the region creating a stable and peaceful economy following the barbarian invasions. Julian clashed with Florentius over the latter’s support of tax increases and the prevailing corruption within the bureaucracy. 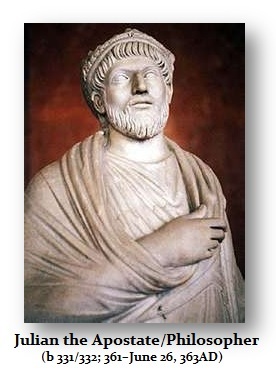 Julian’s own philosophic beliefs led him to idealize the reigns of Hadrian (117-138AD) and Marcus Aurelius (161-180AD). He described the ideal ruler as being essentially primus inter pares (“first among equals”), and thus not above the same laws that applied to everyone else. Julian frequently attended the Senate, participating in debates and making speeches. He was opposed to the traditional royal court operations that were used by his predecessors as inefficient, corrupt, and highly expensive. He cut the bureaucratic waste dismissing thousands of servants, eunuchs, and duplicated officials drastically reducing the cost of government for the taxpayers. He went as far as to prosecute corruption in government establishing the Chalcedon tribunal under the supervision of a magister militum Arbitio. He prosecuted former official under Constantius including the chamberlain Eusebius who ran the royal court finding them guilty and this sentenced to death. Yet Julian did not attend these proceedings that some argued meant he did not approve of these actions yet he took no steps to prevent them. Julian also adopted the philosophy of Thomas Jefferson whereby he tried to reduce the federal bureaucracy expanding state and local authority at the expense of the imperial bureaucracy as Julian sought to reduce direct imperial involvement in urban affairs. For example. He went as far as to return city land owned by the imperial government and city council members were then compelled to resume civic authority. Julian’s handing of tax reform was brilliant. As far as taxes upon the cities, Julian made the tribute in gold by the cities called the aurum coronarium astonishingly voluntary rather than a compulsory tax. Like Hadian, who rectified tax situations and is said to have defended the weak against the strong, Julian followed his role model. Any arrears concerning land taxes were simply cancelled. This was a essential reform reducing the power of corrupt imperial officials, as the unpaid taxes on land were often hard to calculate or higher than the value of the land itself. Forgiving back taxes both made Julian more popular and allowed him to increase collections of current taxes. Hadrian, upon occupying the throne, had found that the enormous sum of 900,000,000 sesterces was due to the fiscus, as arrears of taxes. It was quite hopeless to recover this sum, which covered the previous fifteen years, and the Emperor boldly and wisely remitted it, and erased the debt from the state accounts (118 AD). The bonds were publicly burned in the Forum of Trajan. To prevent the accumulation of bad debts, and also in the interests of equity, Hadrian ordained that arrears should be examined and the taxation revised every fifteen years, so that account could be taken of changes in the value of money and property, and the taxes regulated accordingly. 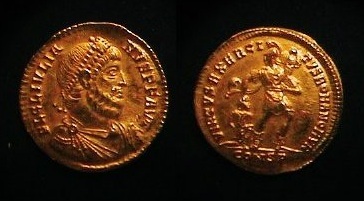 Hadrian also remitted in Italy the aurum coronarium, which the subjects were expected to pay to a new Emperor. In the provinces he reduced its amount. He always refused to accept inheritances willed to him by citizens who had children; and he often remitted part, or even the whole, of the property of men condemned to confiscation, in favor of their sons. “I prefer”, he said, “to enrich the state with men than with money”. Clearly, Julian ceded much of the authority of the imperial government to the cities and perhaps provided the backdrop to Thomas Jefferson who studied everything he could about the Roman Empire and perhaps accounted for his anti-Federalist position. Julian also took more direct control of the affairs of state to eliminate corruption himself. For example, new taxes and corvées had to be approved by him directly rather than left to the judgement of some bureaucrat. 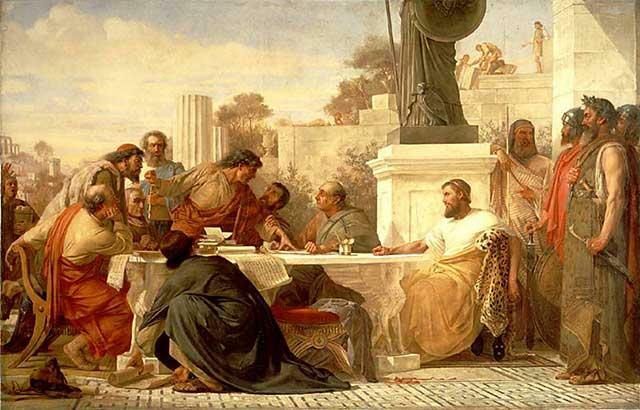 Julian was well aware of the need for society to be properly managed politically, but he also saw the religious side that had led to horrendous and violent dislocation of religion during the 3rd century. This hate led to the Eastern Mediterranean becoming far more stable and the center of economic activity within the Empire. Julian thus adopted the philosophy of religious freedom mixed with the divestiture of a bureaucracy delegating a largely autonomous local administrative system, simplifying the problems of imperial administration, allowing the federal bureaucratic monstrosity to be focused on the administration of the law and defense of the empire’s vast frontiers. This was the original design of the United States, but it too with time, became increasingly dictated at the state and local levels by the federal bureaucracy system. Julian purged the bureaucrats that were career appointees of previous administrations and instead drew heavily from the intellectual and professional classes with knowledge and experience – very novel in those days. His choice of consuls for the year 362AD was highly controversial since he surprisingly choose Nevitta, who had been Julian’s trusted Frankish general. Some argued that this appointment was showing his reliance upon the power of the army while others claim he was seeking the maintenance the support of the Western army that made him emperor. The second consul was Claudius Mamertinus, the previously the Praetorian Prefect of Illyricum who was the very acceptable. Julian’s appointment may have been simply his trust in Nevitta whereas the compromise may have been the locally accepted Mamertinus. Julian began his reign by throwing off his Christian cloak and declaring that all religions would be tolerated. He gave especially large donations to the pagan causes. He dismissed his Christian teachers and ended state subsidies for the church. He then took an active role in organizing pagan worship throughout all the provinces. Julian was more than a mere pagan follower. He authored several works which have survived to this day. He wrote the Hymn to the Sun God, a praise to the Mother of all the Gods, To a Priest, and most important of all his works, Against the Galileans – an open attack against Christianity. Despite all his massive efforts, there was little support among the people for a return to paganism. It appears that Julian merely hated Christians perhaps as a consequence of Constantine II’s massacre of his family. Whatever the reason, Julian tried his best to drum up support for almost any religion other than Christianity. He even went so far as to reach out to the Jews and made grand plans to rebuilt the Temple of Jerusalem. Julian also instituted economic and government reforms as well as religious. He almost immediately tightened finances in an effort to curb inflation. Bureaucratic reforms were also instituted and aid to the provinces was shifted in favor of those regions where he enjoyed the strongest support – mostly in the East. Julian was convinced that an all out war would become necessary against the Persians who had for centuries constantly caused the eastern provinces great trouble. In March of 363, Julian departed for his invasion of Persia taking 65,000 infantry and calvary. After some minor success, he reached Ctesiphon in June but his food supply was running low. Realizing that he could not take the city, Julian ordered a retreat down the Tigris. On June 26, a minor skirmish resulted in his being wounded. Julian died a short time thereafter and a leading general, Jovian, was proclaimed Emperor. Julian’s body was carried back to Constantinople. 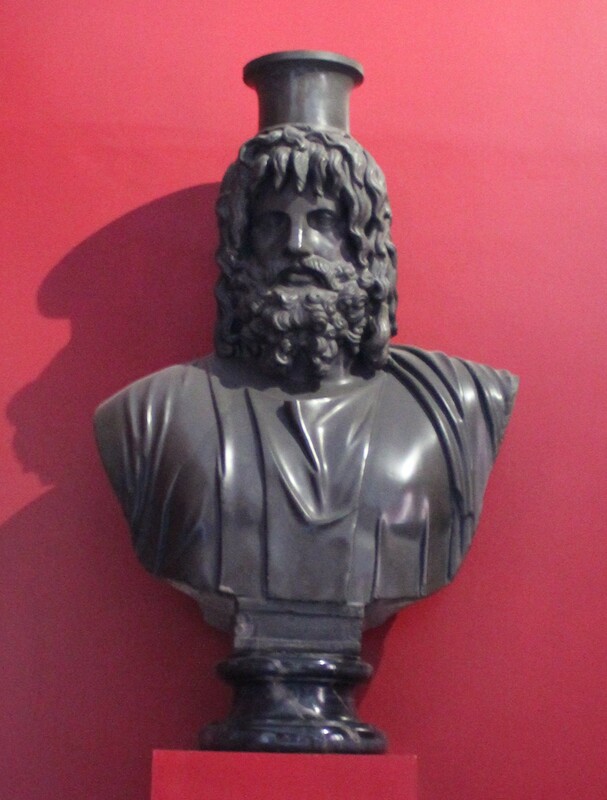 After less than two years of sole rule, Julian was killed in battle against the Persians on June 26th, 363 AD. The army was left in a dangerous position and the generals elected Jovian as their Emperor in the field despite the fact that Julian had intended a relative, Procopius, to be his heir. Julian was a man of considerable literary attainments and some of his writings are still extant. He strongly favored the old pagan religion, with which he had far more sympathy than with the Christian creed, which he had been forced to adopt. This religious favoritism of pagan worship caused the church historians of the period to stigmatize him as “the Apostate”; but the title “Philosopher” which he was also given, is probably more just. 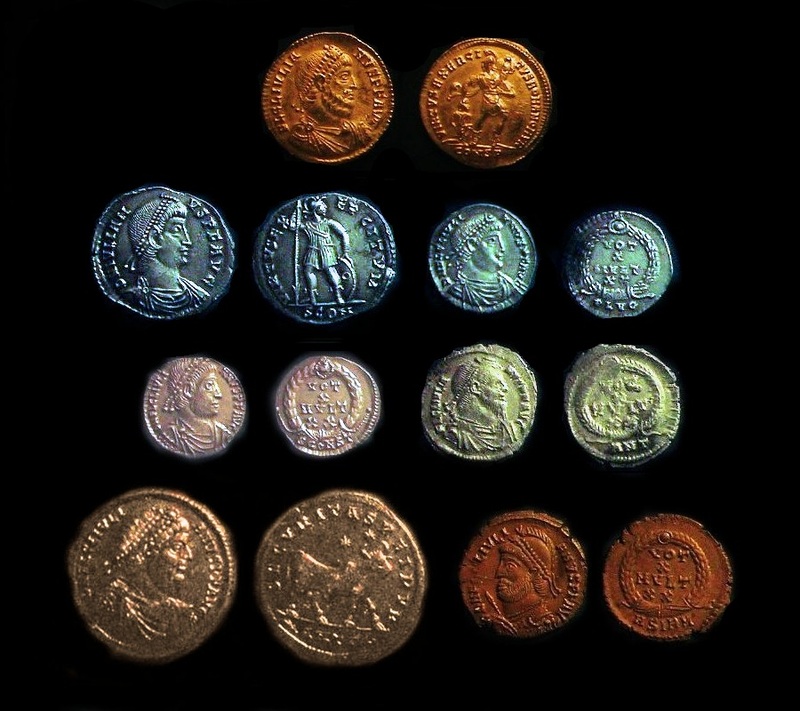 The bronze coinage under Constantine II had fallen from 6.5 grams down to under 2 grams. In 362AD, Julian reformed the monetary system introducing a restored follis or perhaps a Double Maiorina with a weight of about 8 grams. The design was that of a pagan type displaying a bull. He introduce a bronze coin similar to the old Centenionalis with a weight of about 3 grams, struck in bronze rather than billion (low silver content bronze).